Item is the sheet music for a solo piano romance dedicated to Miss Duxie McMillan. The piece is the second in a set of two solo piano compositions, the first of which is a sketch entitled "Though the Fields." 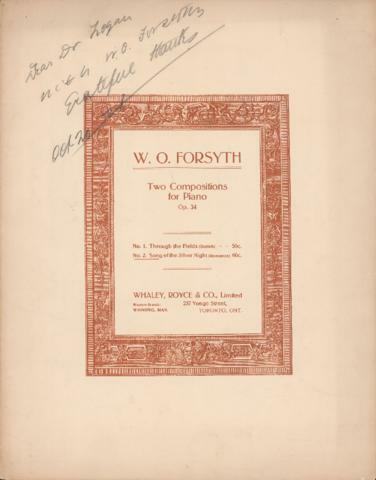 The sheet music is autographed by the composer and addressed to Dr. Logan.